Jimmy Simien has been a Clear Lake resident for over 30 years. Jimmy left his job in Corporate America in 2002 to pursue his dream of Real Estate. He began his career at a major firm and enjoyed a successful run there. He ultimately had aspirations to start his own Real Estate company, however. As of January, 2009 Jimmy became a proud business owner when he created Simien Properties. 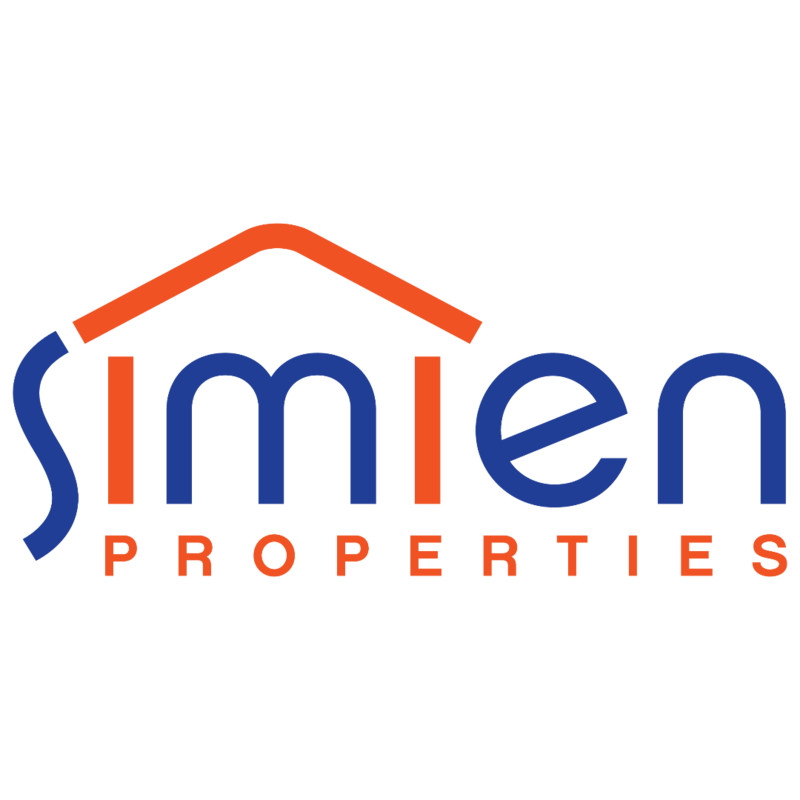 In 2015 he formed "Team Simien" a talented team that operates under the Simien Properties Brokerage and consist of a knowledgeable group of Agents, Transaction Coordinators, Management Staff, Inside Service Agents, Social Media and Digital Marketing Coordinators. 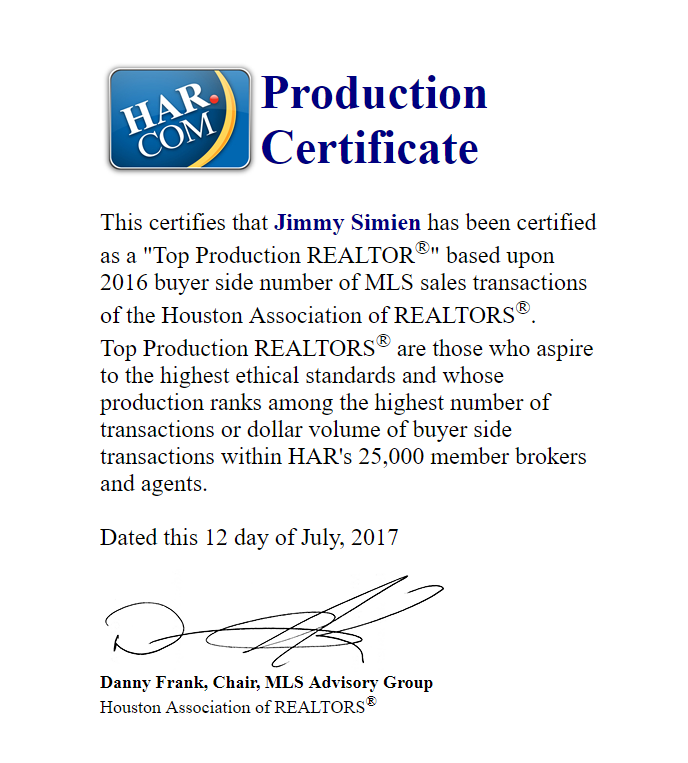 In fact, Jimmy put together such a strong team that in their first full year together (2016) they were able to earn a spot on the top 100 Real Estate Teams on H.A.R. Top Production List for number of transactions and dollar amount, based on the number of people they were able to help BUY a home. Subsequently, they also earned a spot on the H.A.R. Top Production List for the number of transactions, based on how many people they were able to help SELL their homes. 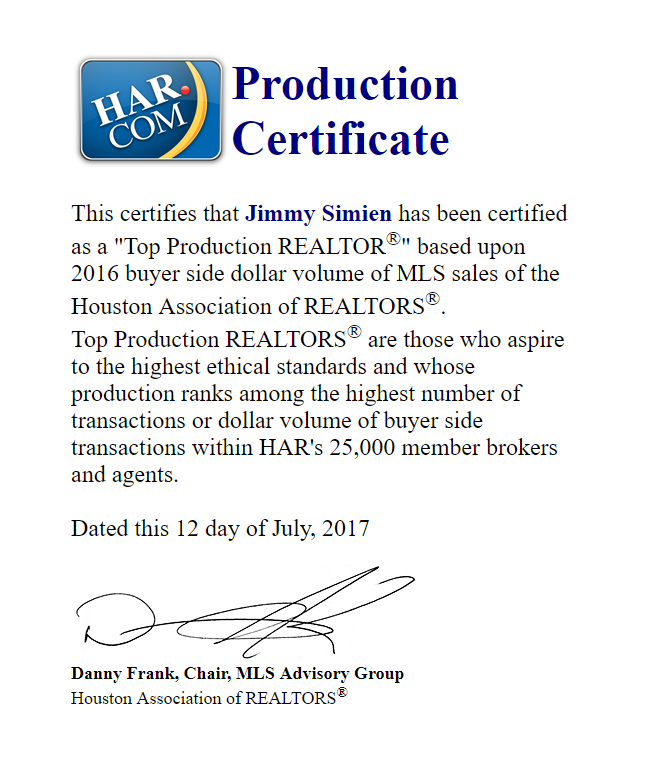 The team is particularly proud of this accomplishment because Houston has about 30,000+ active Real Estate Agents. Landing in the top 100 for their local market is certainly a proud accomplishment for Team Simien. Click on each individual certificate below to read each H.A.R Production Certificate in it's entirety. 2018 continues to be a stellar year for Team Simien. 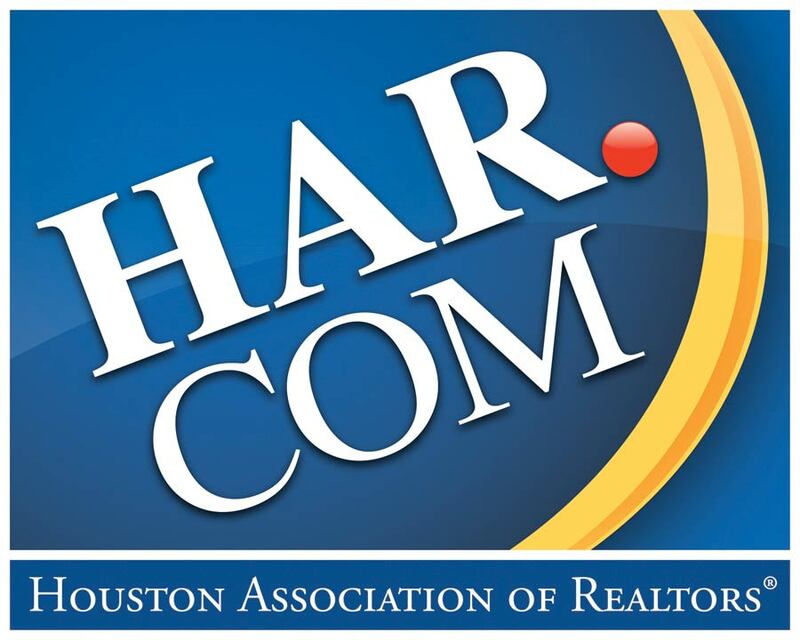 Once again they have been named a top Real Estate team in Houston! They have once again been ranked as one of the top 30 teams in the Greater Metro Area! Teams ranked in America’s Best Real Estate Agents had an average of 75 sides and an average sales volume of $30 million. This ensures that only the best of the best are included on the prestigious list. Due to our success and those of our peers, those represented on America's Best closed a remarkable 1,075,263.97 sides and more than $371 billion in sales volume for 2017—a 20.5 percent increase in sales volume from last year. To see the list you can click HERE. 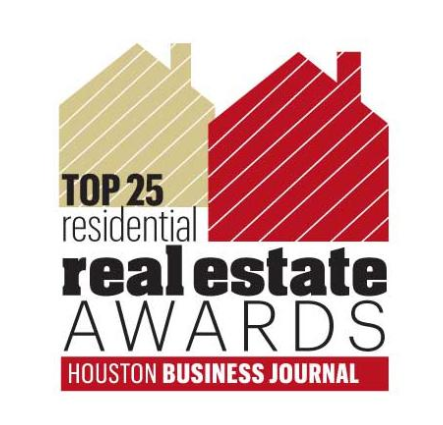 Houston Business Journal (HBJ) announces 2018 Residential Real Estate Award finalists....and Team Simien is proud to say that we have made the list as a top 25 team in the greater Houston area! Jimmy was great all the way through the process. After working with him and his team for awhile, you can really tell they have a lot of experience in this market. I will definitely use Jimmy again to buy my next home, as well as recommend him to everyone I know. I was very pleased with the service Joe provided me, he was readily available and knowledgeable about the industry in general as well as to what my needs were. He was prompt and able to answer my questions and if he didn't know he contacted the other agent, who was not easy to reach, but Joe always managed to get the answer I was wanting and did it pleasingly. I'll refer others to him, actually I have already! I'm very pleased with the service he provided and hope I never have the need for another realtor but IF I do, I'll contact Joe!! Thank you for allowing me to share this info about Joe, I believe you have a Super Star on your TEAM!!! To see all of Team Simien's reviews on H.A.R. please click HERE. 2017 continues to bring tremendous success for Team Simien. They have been both blessed and humbled to be ranked as one of Real Trends Best Real Estate Teams in America! In Houston, they have been ranked as one of the top 30 teams in the Greater Metro Area! Teams ranked in America’s Best Real Estate Agents had an average of 144 sides and an average sales volume of almost $61 million. This ensures that only the best of the best are included on the prestigious list. Due to our success and those of our peers, those represented on America's Best closed a remarkable 944,760 sides and more than $308 billion in sales volume for 2016—a 15 percent increase in sales volume from last year. To see the list you can click HERE. 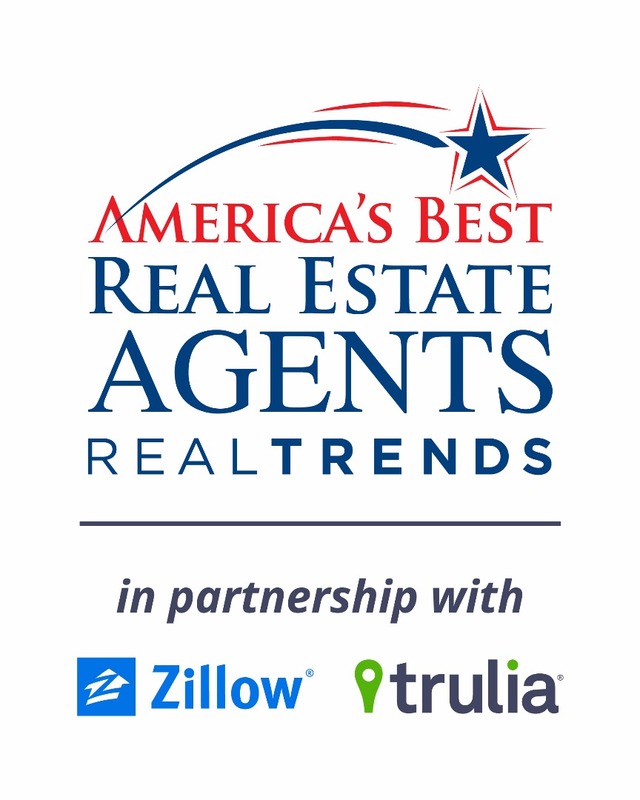 For more info on Real Trends America's Best Real Agents please click HERE. "Joe Haas Jr. was very professional and made buying a house seem easy for a first time buyer. His knowledge of the local area and Attention to detail was exceptional. He was responsive to all emails and texts right away. I would highly recommend his services!" "Chaundra is extremely knowledgeable about the market, caring and patient, was always available to answer our questions and show us homes. It was a great experience working with her. I highly recommend Chaundra." "This is mine and my husbands second time working with Joshua Lowe and I can't say enough good things about him. He's made the nerve racking process of selling a home easy and painless. I look forward to using him to purchase our forever home. I would absolutely recommend him to anyone looking to buy or sell a home. You won't find another realtor more dedicated to making this a painless process!" "Joe Haas Sr. was great from start to finish! We received above asking price on the home we sold through Joe & got the best possible deal on the home he helped us locate. 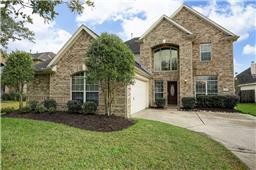 Joe sold our home in in under 24 hours!" 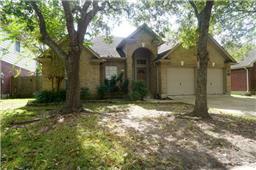 "Autumn is extremely knowledgeable and always very willing to provide expert assistance. Her level of commitment to her clients is un-surpassed along with her friendly 'can-do' attitude. Additionally, she is very detail oriented and always responds promptly to our inquiries and requests. All of this is why we continue to seek her expert guidance and assistance and why we feel very comfortable recommending her to our friends and family." "My experience with Anthony was wonderful. He was so very patient with us deciding whether or not to even sell our home. He was very professional and so understanding to our needs. He answered every question i could possibly ask on any given day at any given time. I will definitely use Anthony on any future endeavors and recommend for everyone else to use Anthony at Simien!" "Mandy Bayless is very Professional, she finds out as much as she can from you in regard to what you are looking for in a property, she always response promptly and if she doesn't have the answer to a question, she always finds out and contacts you back with the information, her priority is her clients, she tries to do everything based on your schedule, she works hard to please her clients. I wish everyone had the experience that we had in Mandy as a Realtor, she made it very bearable, and easy, I would have given her a perfect score, but I couldn't say for sure on her negotiation skills all I know is she did a great job as for as we were concerned. My husband, our son and myself we score her five stars, on consideration, kindness, and professionalism. Highly Recommended." "Jimmy and his team are first class! Beginning with the market evaluation expertise, all the way to the smallest of details, this team means business. They sold our diversely challenged property, that was somewhat overbuilt for the area for a value that both the buyer and ourselves could feel good about, and did it quickly, and as seem less as anyone could ever expect! Go get em' guys!" To see all of Team Simien's Reviews on Zillow click HERE. Team Simien is very proud of these accomplishments but they continue to stay humble and strive to even greater heights. The rest of 2017 will be an exciting time for Team Simien. 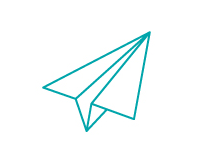 They have set lofty goals for themselves to take the client experience to another level. They are confident that as long as they continue to put the needs of their clients first and foremost, they will be able to take Team Simien to the next level moving into 2018. They appreciate their current clients so much and they look forward to serving all future clients with the same level of quality service and expertise. 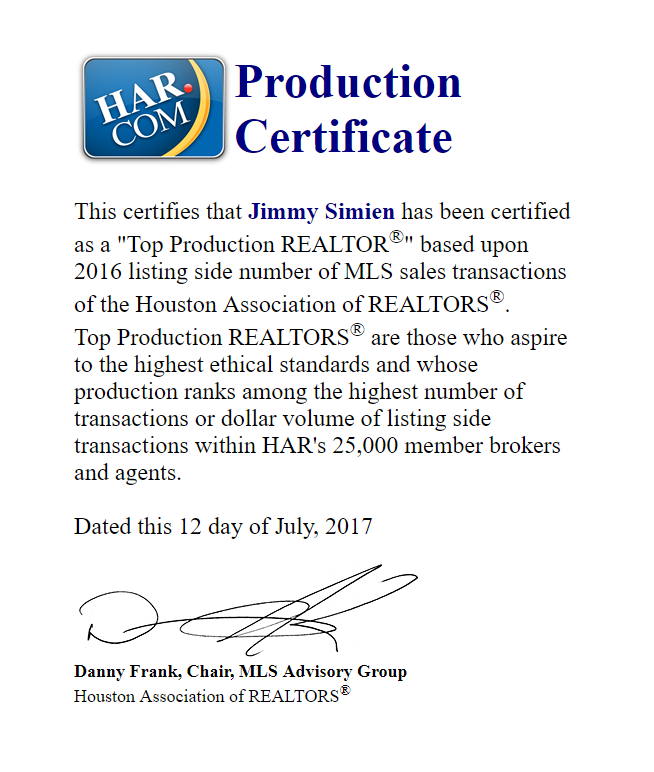 Thank you Houston for trusting Team Simien with your all of your Real Estate needs. They certainly realize without you, that they could not have been able to achieve these prestigious accomplishments. Thank You again, and they look forward to serving you in the very near future! To contact Team Simien directly please call either Autumn at 832-929-8630 or Kris at 832-710-2644.